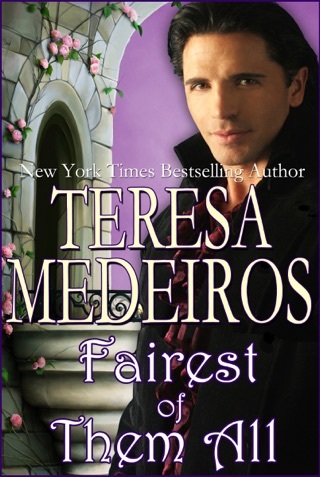 This newest Regency-era romance from veteran author Medeiros (One Night of Scandal, etc.) starts out as a crisp, bright tale of a woman whose no-nonsense attentions revitalize a disabled lord, but a jarring plot twist sends the book into a black hole that might leave readers feeling disoriented and cheated. Earl and naval hero Gabriel Fairchild lost his sight, fallen-angel good looks and fianc e after the battle of Trafalgar, only to acquire tart-tongued nurse Samantha Wickersham, a young woman with a shadowy past who refuses to let Gabriel sink into self-pity. As she teaches him how to navigate his mansion and regain his independence, he guides her along a journey of shared desire. But while Samantha gives Gabriel her heart, she keeps her secrets, vanishing when it becomes clear that Gabriel can finally survive without her assistance. Here the story staggers, revealing vital information hardly hinted at before. Then Samantha, who's cast as a straight shooter in the first half, inexplicably begins acting out of character, sending the final portion of the book into a spin that grows worse with every page. Though the first portion of the novel is as finely written as Medeiros's best novels, the ending proves to be a rough landing.